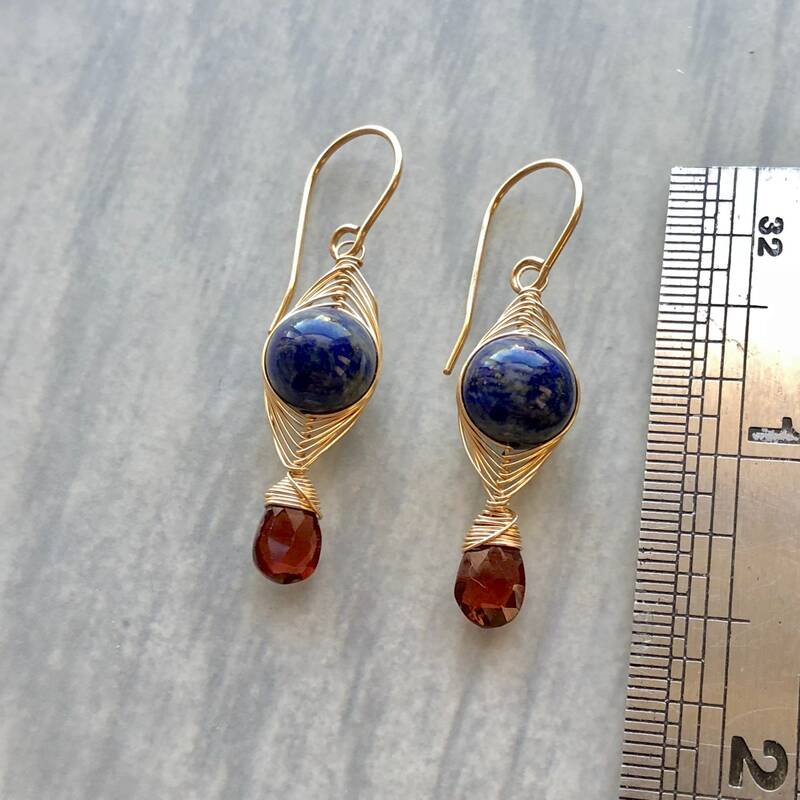 Deep blue lapis lazuli and saturated red garnet are wrapped together in an intricate 14k gold fill herringbone weave. • These earrings measure just over 1.5" long. • The round lapis lazuli beads are 8mm in diameter. • The garnet briolettes are 5x8mm. 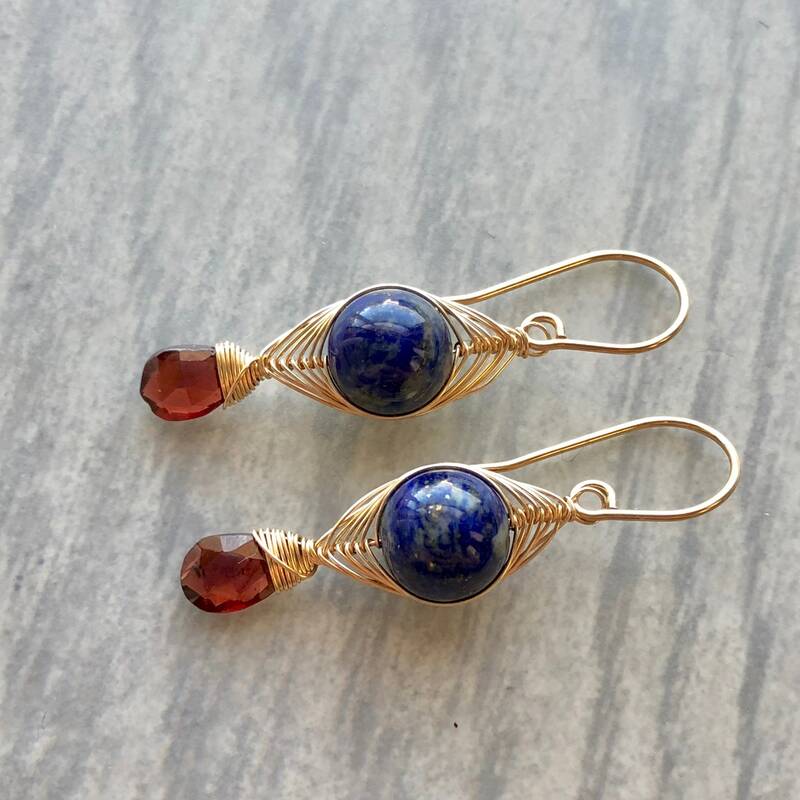 • These earrings have been made with 14k gold fill wire.